State and federal officials are warning of a vicious species of tick that is rapidly invading the US. A full-scale invasion is taking place along the Eastern Seaboard of a tick from Eastern Asia. The species of tick is known to transmit a whole host of nasty diseases to humans including a deadly virus that kills up to a third of its victims. The Asian longhorned tick, also known as Haemaphysalis longicornis, has not been found to be carrying any diseases in the U.S. yet. The Asian longhorned tick is a huge threat to livestock, pets, and wild animal populations since it is capable of attacking en masse. The invasive tick can drain young animals of blood so quickly that they die, a form of death called exsanguination. The secret to how the tick's populations explode lies in its ability to reproduce without mating. The female Asian longhorned ticks lay up to 2,000 eggs over a two to three week period which gives rise to an army of clones. In one study, experts found a massive swarm of the ticks in a single paddock that consisted of thousands. The study's experts postulated that the population might have a ratio of one male for every 400 females. Maryland announced the presence of the tick on August 7 making it the eighth state to be invaded. So far the tick has been found in Pennsylvania, New Jersey, New York, Arkansas, North Carolina, Virginia, and West Virginia. 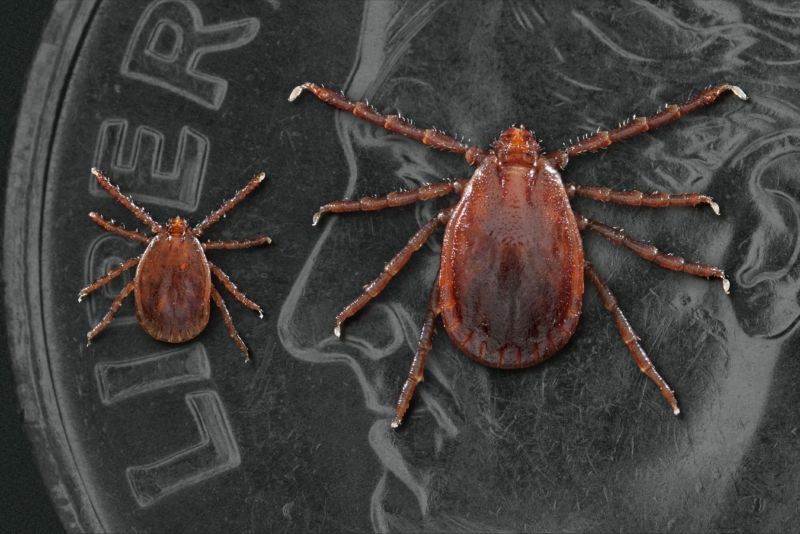 Reports of the ticks appearance started last August in New Jersey which became the first state to report finding the Asian longhorned tick. A report published by the Journal of Medical Entomology found a sheep that was housed alone in a paddock in a wealthy Icelandic community had been covered by hundreds of feasting ticks in all life-stages. As soon as the sheep's owner set food in the paddock he was inundated with thirsty ticks that began crawling up his pant legs. Health investigators determined the ticks were H. longicornis and found only one male out of 1,058 ticks. Investigators are unsure of how the tick arrived in the region. Yup, open borders and unlimited immigration without law enforcement is a good thing! once everyone gets sick, we can throw socialize healthcare too! Remember when South Americans gave us a disease that made infants born retarded thanks to infected mosquitos?